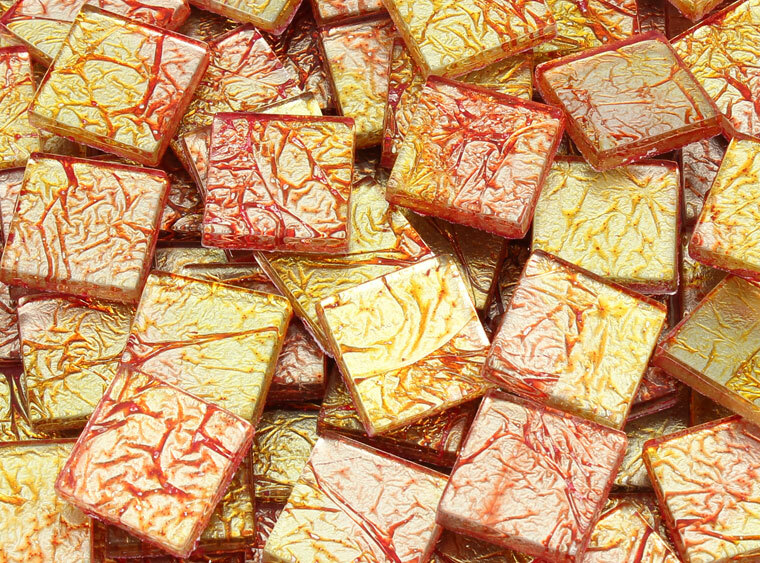 These mosaic tiles will add warmth to your projects. BI Mosaic tiles offer a variety of decorating options. Use on mosaic bases, bisque, iron furniture, mixed media projects, and more! Simply arrange, glue, grout, and enjoy. Imagine the possibilities! Quantity : Approximately 120 tiles per 1 lb. bag. Coverage : Approximately 87 square inches per 1 lb. bag.